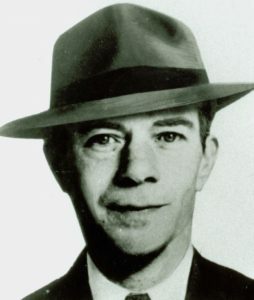 Willie Sutton is a well known American bank robber (bio on Wiki). Although always taking a pistol or Thompson sub-machine gun he never killed anyone, in fact he never even fired his weapon. When captured, his gun was always found to be empty and when asked about this he simply replied “I never carry a loaded gun because somebody may get hurt”. In fact if a woman screamed or a baby cried he stopped the robbery and left. Why are we talking about Willie? So, how does that reflect on marketing? Simple – when you are marketing your business, you should always look where the money (your customers) is. According to marketing expert Drayton Bird, Millennials may not be the ideal target, they are buried in debt, apparently 40% of 18-34 year olds live with their parents and struggle to find well paying jobs. Baby boomers, on the other hand are less stressed about money having enjoyed decades of cheap housing, safe jobs (some guaranteed for life), solid pensions and huge stock market gains. So, perhaps that’s who your marketing should be focussing on. Don’t ignore “snail mail” – take a look at what arrives in your letterbox. Mine’s almost empty for most of the week so a well targeted piece of direct mail is likely to be opened, and that’s half the battle. After that, it’s down to the quality of your letter, the words, the pictures AND ensuring that there’s a positive call to action (CTA) and whilst on the topic of CTAs, every page of your website should have one and every email you send. If you need help with any aspect of your marketing, get in touch. Give me a call on 01793 238020, drop me an email to andy@enterprise-oms.co.uk or link up on LinkedIn or Twitter. This entry was posted in DIgital Marketing, Email marketing by Andy Poulton. Bookmark the permalink.